Sometimes seeing others at work motivates us to do the same. Saving brass for a rainy day like today. Absoutely nothing today, I'm on holiday break today. but the day ain't over yet. Um, I looked for the screws for my workbench. I think I lost them in the move. Good thread idea, I like reading the one on ARF. I resized and primed 150 cases of 9mm. Moved my bench to a different area in the basement with more room. Not firearm related, but sharpened 10 knives for my dad on the Ken Onion sharp maker. Thing works great! 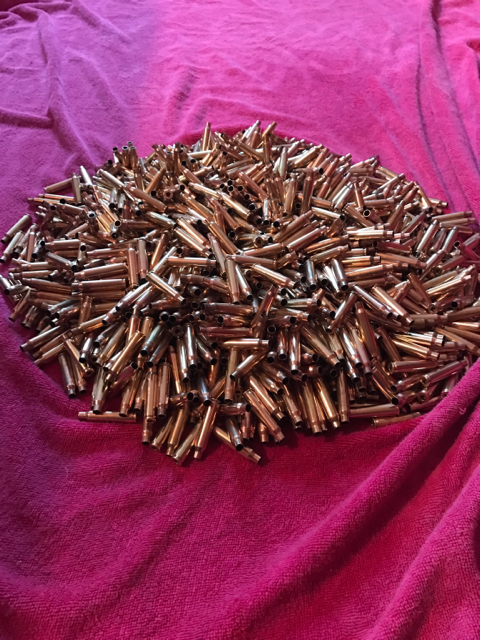 Reloaded 50 rounds of target 9mm. Plan on taking my time and reloading another 150 rounds, at least. Its what people know about themselves inside that makes them afraid. I organized my 6mm, 6.5mm and 30 caliber rifle bullets in an old milk crate label up. I thought it might be both interesting and unusual if I could (for once) actually see at a glance what I do and don't have.